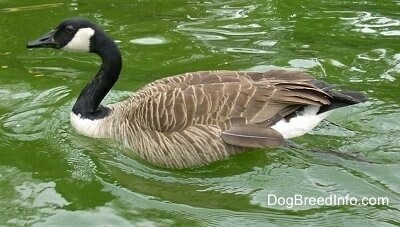 A single goose is called a goose. This is a general term for both male and female. More than one goose is called geese. This is a general term for both male and female. 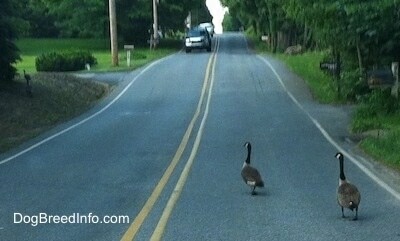 A single male goose is called a gander. More than one male goose is called ganders. A single female is called a dame. More than one female is called dames. A male or female young goose is called a gosling. Geese together on the ground is a gaggle. Geese together when in flight is called a skein. 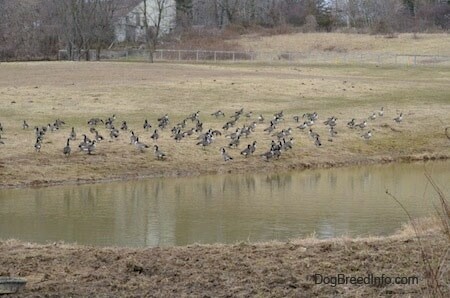 Pictured is a flock of geese taking over a horse field. When the birds first arrived there were only two of them. Their numbers grew from two to four and multiplied from there over the last couple of months. If these birds are not chased out of the field before the grass starts growing in the spring they will contaminate the ground where the horses graze. In order to get them to leave they must be scared off several times a day until they decide it is not a safe place to raise their young. 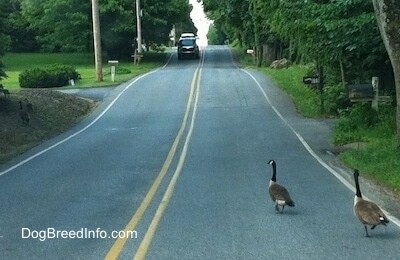 People who live in goose populated areas will often find themselves having to stop their cars while the geese, that are either oblivious to the traffic or think they own the road, cross the street at their own slow pace. 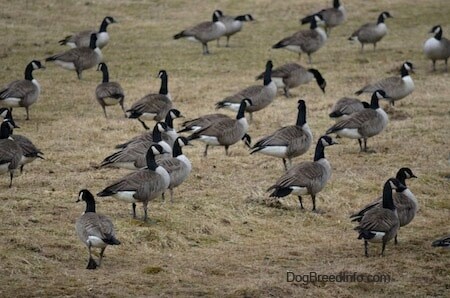 Geese often take over a field or yard, becoming a nuisance to the property owner as their waste builds up and gets all over. They often become territorial over the home they claim. 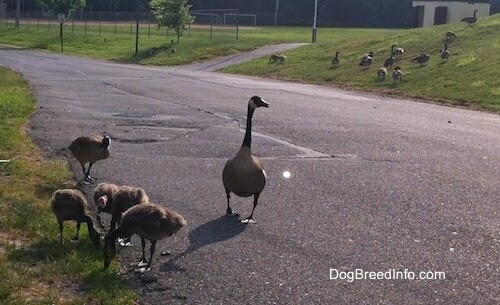 Adult geese will protect their baby goslings from anything they think may be a threat to them. 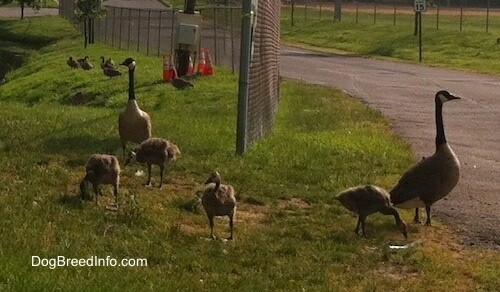 A couple of adult geese and their goslings. In a flock of geese the adults all share the responsibility of looking after the babies. A baby goose is called gosling. 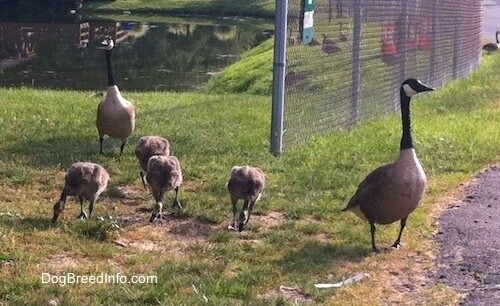 A couple of adult geese and their goslings. Goslings can swim as soon as they hatch from their eggs. They are known as precocial animals, which are young that are relatively mature from the moment of birth or hatching. 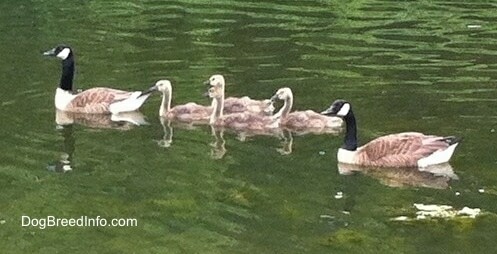 A couple of adult geese and their goslings. Adult males, called ganders, tend to be larger than the females. 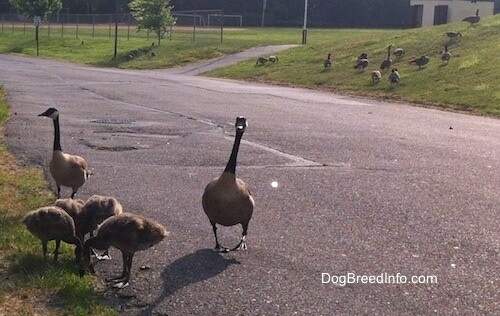 A flock of geese with their goslings hanging out close to the road. 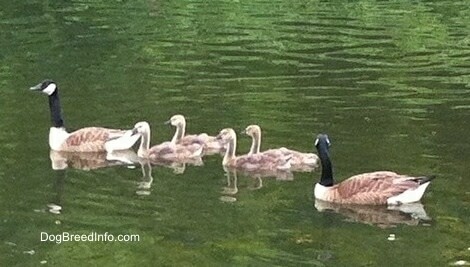 Adult geese with their goslings.